As pharmaphorum’s third birthday approaches we share our birthday messages with you. In three short years you have become a valuable go-to resource for the global pharmaceutical community. No doubt your commitment to quality content and your ongoing drive towards excellence will help ensure many, many more years of success. Congratulations to all at pharmaphorum on the occasion of your third birthday. Thank you for the dedication and consistency you’ve shown on the way to becoming the trusted destination for informed, insightful discussion on key issues in pharma. Happy birthday to pharmaphorum, from all here at Trufflenet Health, wishing you another successful year. The insights you provide and the broad topics of conversation enlighten me every day. Congratulations guys, been a quick three years and look forward to seeing your wonderful progression of the next 3 years too. Our team is wishing you a Happy 3rd birthday and a cheers and hats off to your three years of success. Congratulations! We appreciate the excellent content and work you provide to help the industry stay informed and ahead. And we appreciate the working relationship we have with your team. Here’s to three more years (and many more on top of that!) of continued success, pharmphorum. Happy Birthday. – Your friends at Cadient Group. @pharmaphorum Thanks for all of the great #pharma insight! Happy [early] birthday! @pharmaphorum Happy Birthday in advance. Being new to pharmaphorum my highlight must be connecting with you in the first place. Cheers to developing a great daily read that consistently provides helpful and healthy industry debate! We enjoy the excellent content you continually provide. We’ve enjoyed being a part of the conversation and working with your team. And we’ll continue enjoying watching you grow with many more successes. Happy 3rd Birthday pharmaphorum! – Laura Liotta, President, Sam Brown, Inc.
@pharmaphorum That was a quick three years! Thanks for reliable and balanced information. We’re so pleased that you appreciate all the hard work we put in. Thank you for making pharmaphorum such a great community and a valuable resource. Here’s to continued growth over the years to come! pharmaphorum is the primary facilitator of thought leadership and innovation within pharma, featuring articles, events, companies and reports. We support the next generation of pharmaceutical industry leaders through producing, curating and publishing media that will help pharma embrace the challenges of being a healthcare solutions provider in the 21st century. 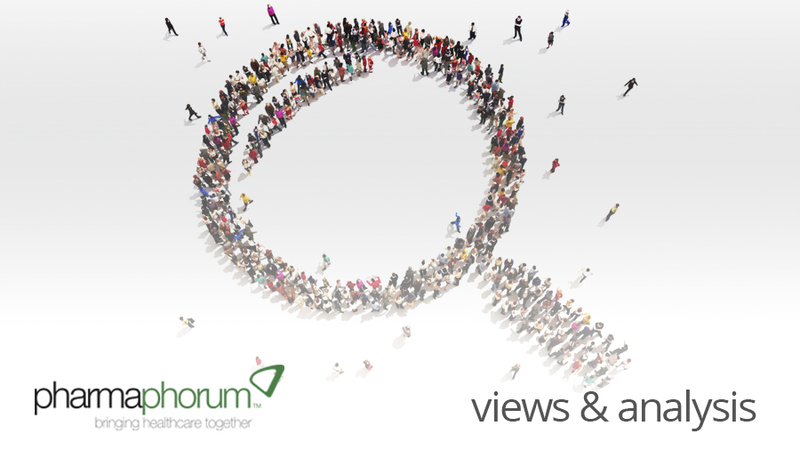 What would you like to see on pharmaphorum over the next year?